Par 5 Club is a social golf society that’s ​all about affordable golf and lots of fun ​for amateur golfers of all levels, irrespective of age, nationality, gender or creed. We love organizing small-scale competitions, multi-day tournaments and away trips, but we welcome the pure leisure golfer as well. 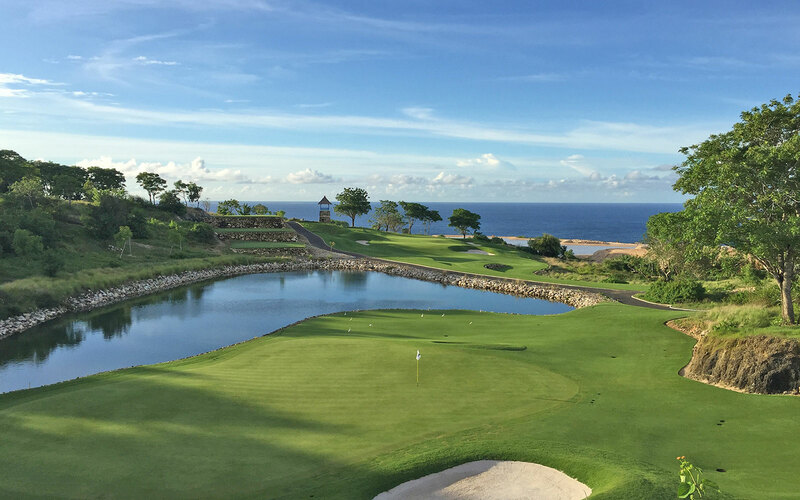 No less important maybe, is that we are able to offer our members some incredible golf rates at our partnered golf courses in Bali and, soon, beyond. Nevertheless Par 5 Club is not simply about garnering members at all; we prefer to have actively playing golfers who’ll come and join in our events as often as possible, to help us create the social fun golf society we’re aiming to be. MEMBERSHIP FEE PAYMENT: the annual membership fee is Rp 750,000. Please note all memberships expire on 31 December 2019, irrespective of the date of signup. You are welcome to pay the fee in cash at the first event you attend. Please let us know if you prefer payment by bank transfer, in which case we’ll send you our bank account details by email. Payment can also be made with credit card in AUD$ via our Paypal link by clicking HERE. ATTEND AN EVENT: please join us for a round of golf with your new fellow club members on any of our regular weekly events at which time we will present you with your Membership Card. We’d love to meet you in person and you are very welcome to join either in the competition or simply as a non-competing player, just for fun, whichever you prefer.